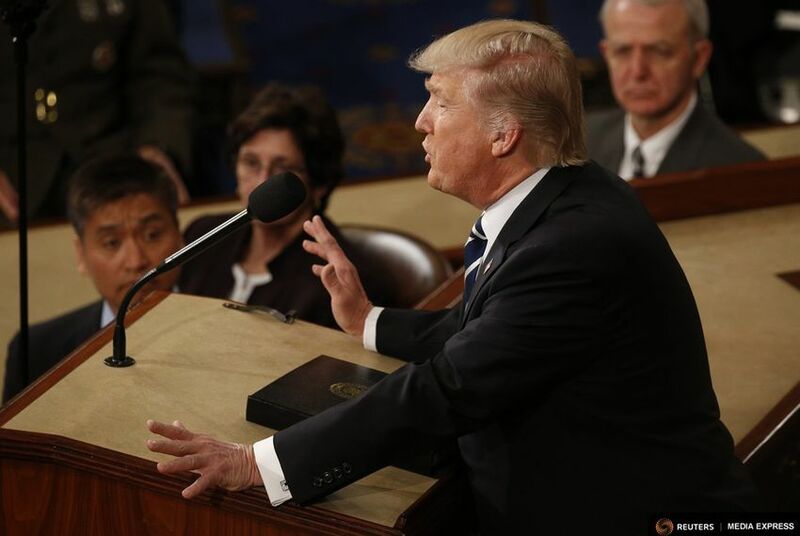 President Donald Trump reversed course hours after threatening to veto a must-pass spending bill because it did nothing to address the fate of young undocumented immigrants and did not fully fund his border wall. Trump, who decided last fall to end the DACA program, was seeking a deal that would give Democrats protections they sought for the program's recipients in exchange for additional funding of $25 billion for his long-promised U.S.-Mexico border wall. The bill includes a minor down payment of $1.6 billion on his marquee campaign promise. “I am considering a VETO of the Omnibus Spending Bill based on the fact that the 800,000 plus DACA recipients have been totally abandoned by the Democrats (not even mentioned in Bill) and the BORDER WALL, which is desperately needed for our National Defense, is not fully funded,” Trump said in tweet. “Let's not forget that you ended DACA and torpedoed every possible bipartisan fix. This is on you,” Rep. Tim Ryan, D-Ohio, said on Twitter. “Art of the deal wrecker,” was how Sen. Tim Kaine, D-Virginia, sized up the president’s veto threat Friday morning. He urged the president to sign the bill. “I hope he doesn’t do it. That’s my reaction,” said Sen. Johnny Isakson, R-Georgia, of Trump’s threat. On Wednesday, House Speaker Paul D. Ryan, R-Wisconsin, rushed to the White House to reassure Trump. The president was upset with the amount of money for his border wall, and he griped about a proposed tunnel between New York and New Jersey — a project beloved by Senate Minority Leader Charles E. Schumer, D-New York — that Trump has ferociously tried to block as part of the negotiations. Veto threats were made then, too, but after conversations with Ryan and Senate Majority Leader Mitch McConnell, R-Kentucky, the White House issued a statement saying Trump supported the bill.